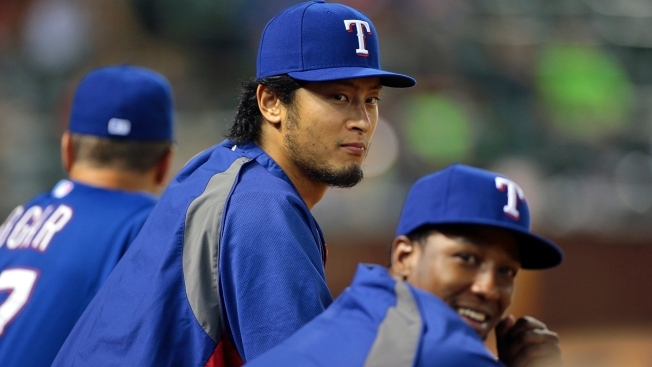 There is no question that Yu Darvish being out for the 2015 season with Tommy John surgery is a severe blow to not only the Rangers' rotation, but also to their hopes of having a bounce-back season after a disappointing 2014. The latest national outlet to rank the league's rotations was the Washington Post, and without surprise they ranked the Washington Nationals as the league's top starting rotation. It's not a homer pick, the Nationals were loaded last year and then they added former AL Cy Young winner Max Scherzer in the offseason. The Rangers, however, rank No. 27 out of the league's 30 teams with Darvish gone after it appeared prior to his injury that the Rangers would have the top starting rotation in the American League West and probably a top-10 rotation in baseball. The reason for the low ranking? They wrote that the Rangers lost Darvish from a group that had the third-worst team ERA in baseball last year. But that isn't really the case when you factor in last year's bunch had a bad Colby Lewis for half a season, had Derek Holland only in September and didn't have Yovani Gallardo. The Rangers' rotation isn't near the power it would've been with Darvish, but I'm not sure it's the fourth-worst bunch in all of baseball, either.